Some of the most notable and therefore press-worthy CX successes are from brands that made major shifts in how they went to business. Fact is, however, that small shifts can be just as impactful and newsworthy if those changes are rooted in strong CX insights. Westin Hotels are great example of this. 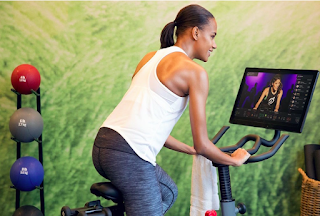 Westin Hotels and Peloton bikes recently partnered to offer the all-in-one bike spin classes in equipped Westin guest rooms. This small but note-worthy change in Westin's offering is a result of the brand doing their homework and thinking from the perspective of the consumer. Fact is, many Millennial and GenX travelers report that they exercise less on the road, despite the fact that they believe keeping a regular exercise routine is important to them. To take things one step further, the brand uncovered the tension between the demand for group exercise classes and the feeling of solidarity while traveling. Peloton bike's social experience and interactive program is the beautifully simple solution to a rather complex and common experience issue among hotel guests. Peloton gets exercise focused consumers sampling their programs and Westin hotels win big time on improving their CX.